Find a new Jeep Renegade at your local Findlay, OH Jeep dealership. Overview Located in Findlay, Ohio, Findlay Chrysler Dodge Jeep Ram provide our customers with a full suite of automotive services. When it comes to combining the best in off-road capabilities, technology and comfort, there's no beating the Jeep Renegade. Treat family and friends to a riding experience like never before with available features including premium cloth seating and a My Sky open-air dual-panel roof. 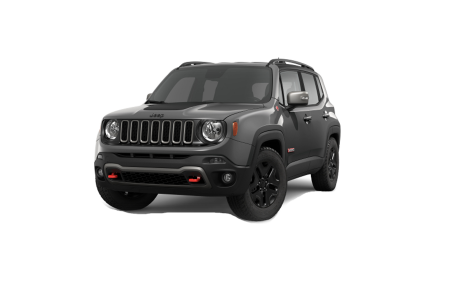 With a variety of exterior options, the Jeep Renegade is sure to turn heads as you head along Main Street. Complete with Best-in-Class 4x4 capabilities, the Jeep Renegade is built to keep you riding smoothly under various terrains and conditions. Why Us? Our team at Kable Derrow's Findlay Chrysler Dodge Jeep Ram is here to match our Findlay, OH customers with their ideal SUV that fits their needs and lifestyle. Whether you're looking for an auto loan or lease, our auto finance experts are ready to find a program that works with your budget. Stop on by our Findlay, OH dealership today to speak with a representative and learn more about our flexible financing options. Every car needs regular upkeep for prolonged longevity. Findlay Chrysler Dodge Jeep Ram understands the importance of keeping our customers' vehicles running great for years to come. That's why we've staffed our service center with certified technicians who are ready to handle anything from oil changes and tire rotations to engine tune-ups, state inspections and more. Give our Findlay, OH dealership a call and schedule your next service appointment today!